Update: WB has released an official trailer for Batman: Arkham Knight. See it above. Just like in some of the best parts of the movies, we’ve been catching quick glimpses of Batman in the last week. We had a hint that the bandaged villain called Hush might play a prominent role in an upcoming Batman game or download, and just a few days earlier GameStop employees got their hands on some Batman-related promotional materials they were told to keep under wraps. 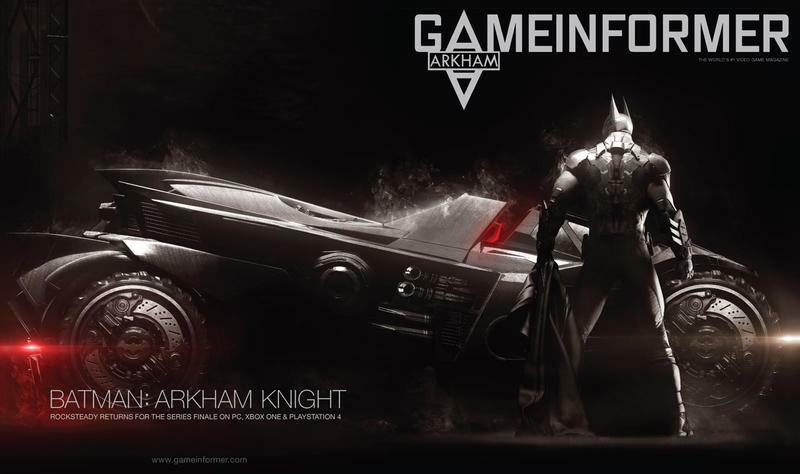 Now, we have two bits of concrete information: British video game retailer GAME briefly posted – and then removed – an entry for Batman: Arkham Knight, and Game Informer revealed their April cover images for the game. The game is back with Rocksteady, the studio behind the first two titles, Arkham Asylum and Arkham City, and set to head to PlayStation 4, Xbox One, and PC. 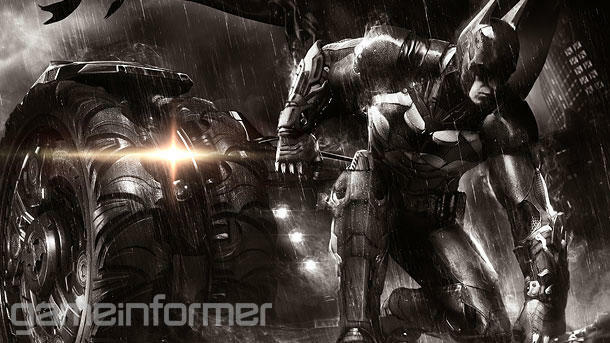 Both GAME and Game Informer are calling the game the finale to the Arkham series. We were digging into the source code of GAME’s entry for the page, which revealed the box art at the end of the story, when Game Informer posted the reveal. It sounds like the GAME leak may have forced the magazine’s hand to move a bit early. Instead of removing the listing, GAME decided to just hide it – everything is available in the source code for the game’s page. Batman: Arkham Knight introduces Rocksteady’s uniquely designed version of the Batmobile, which is drivable for the first time in the franchise. 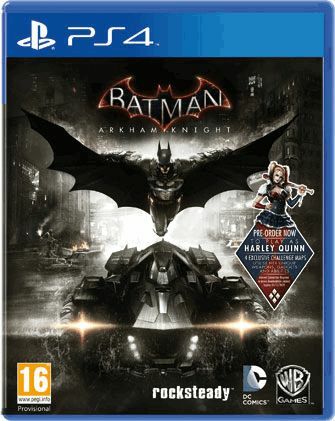 The addition of this legendary vehicle, combined with the acclaimed gameplay of the Batman Arkham series, offers gamers the ultimate and complete Batman experience as they tear through the streets and soar across the skyline of the entirety of Gotham City. The addition of the Batmobile is the biggest change to the series since it started in Arkham Asylum, and should add an interesting element to the open world set forth in Arkham City. We’re hoping for a more open version of Gotham City with fewer artificial barriers than we’ve seen in the past. Game Informer has promised 14 pages of coverage, so details should be plentiful when the April issue hits mailboxes and shelves. A trailer is set to drop for the game later today. We’ll update this post with that video once it comes.